The Brattleboro Outing Club Ski Hut is the gateway to Vermont skiing and snowshoeing. We are the first nordic area as you head north, off Exit 2 of I-91. 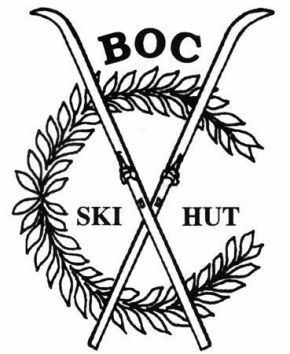 Located at the Brattleboro Country Club, just two miles from town, the BOC Ski Hut is where friends and family meet to ski and snowshoe. Fairway trails are groomed with as little as two inches of snow. Forest trails wind through more challenging terrain that promise to pump your heart and nurture your nature. Trails are open and groomed regularly when snow and weather warrant. Our warming hut is open most weekends and holidays staffed by volunteer ambassadors who orient guests, size rentals, and serve hot cocoa. Call or visit our facebook page-- BOCXC-- for trail reports and the operational status of the hut. Guests are welcome 24/7 to try our superb system of trails-- just sign in at the trailhead and deposit the guest fee in the honor box when the hut is closed. For nearly a century, the BOC has organized programs, in sync with the seasons, that draw folks outdoors in healthy recreation. We welcome you to join with us to sustain skiing in our community's backyard. Together, we make winter happen! We are a full service restaurant serving to the public while also providing a “home away from home atmosphere” to our members. We strive on having professional, friendly, staff who love building relationships & meeting new people.